I know summer’s over and it’s supposed to be a site about sewing but I want to share with you my special summer fruit salad. It’s a real treat, healthy and completely scrumptious ! I make it for everyday desert but it also goes down a treat at birthday parties, BBQ parties and the rest. It’s easy and quick too! 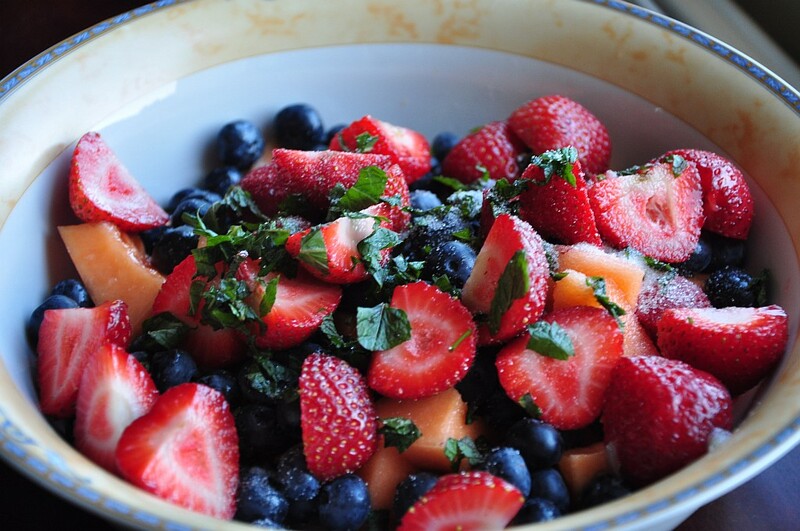 All you need is a melon, a pack of blueberries, a pack of strawberries, juice of one lemon and some fresh chopped mint . 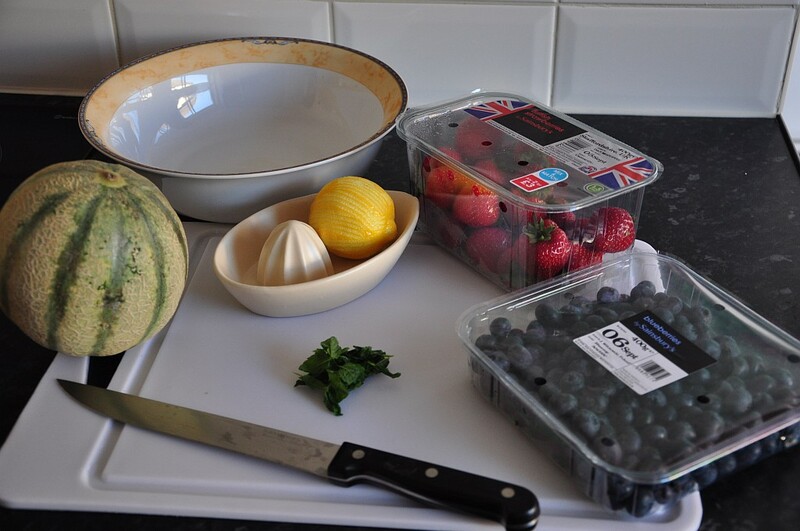 just cut the melon into cubes, cut the strawberries in half and mix all the fruit together. Add the lemon juice and chopped mint. you can add a spoon of sugar if you fancy. Et voila! Bon appetit! I ‘ll be posting very soon about my projects and will try to squeeze in a tutorial soon! So anyhow, we had a blast and a massive giggle. we also spent some time shoping meeting some lovely gals and getting poorer by the hour. 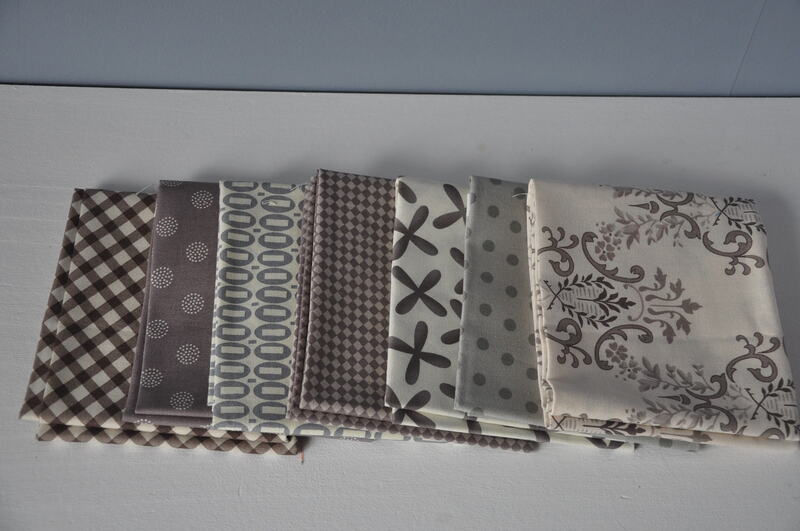 I got some grey fabric from a lovely stall but cannot remember for the life of me what their name was, when I’ll remember I’ll give you a link. I’ll make a quilt for my newly decorated living room. 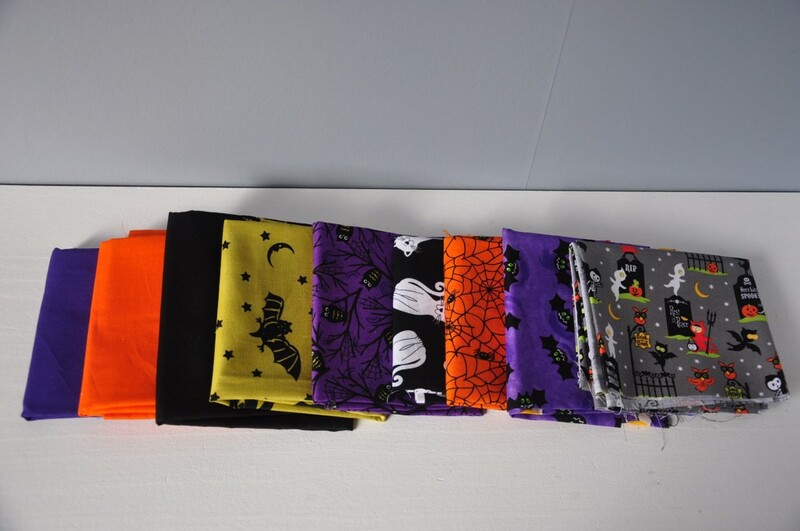 I also bought some Halloween fabric to make a quilt for the occasion. I know it’s frowned upon here (and completely forbidden in France) but I love that holiday. And neighbors play the game in our area so that’s all very civilized. We only knock on doors that have a carved pumpkin on their door step. I have already started a quilt and will show you the finished product soon! 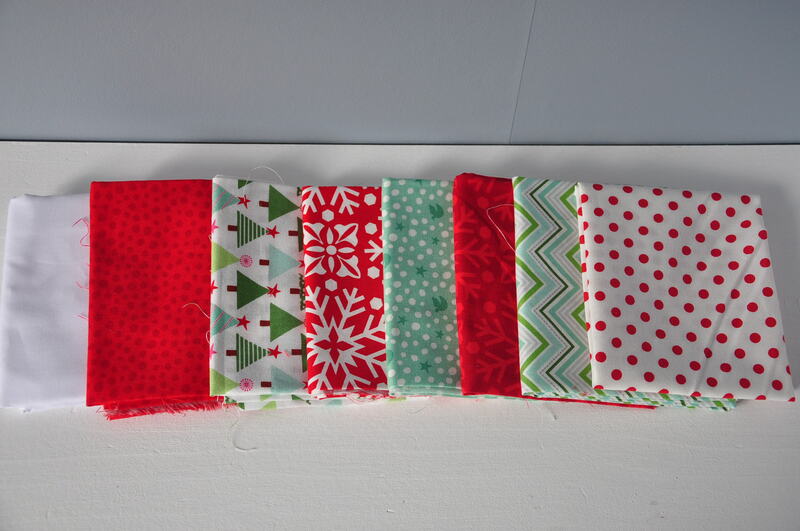 I also bought some Christmas fabric to guess what, make a Christmas quilt for the holiday. 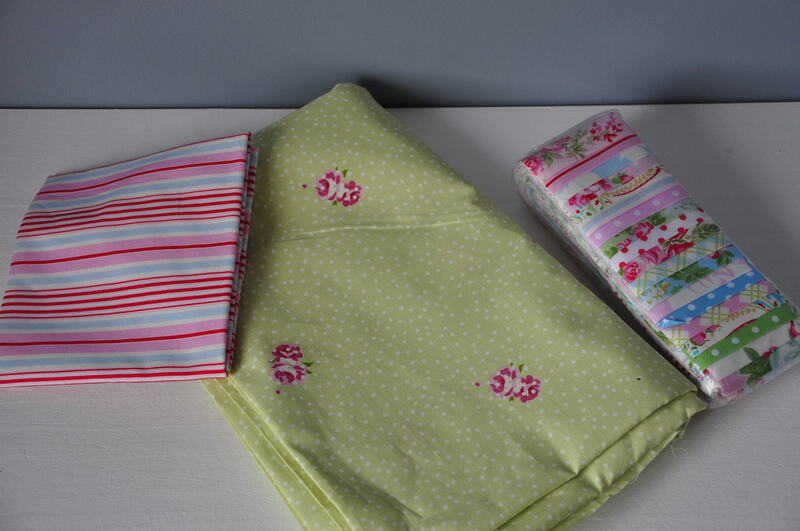 I’ve also brought a jelly roll, some backing and some fabric for the binding. I just love the design of those fabrics, shame I haven’t got a girl!! oh I nearly forgot! I also bought a massive roll of wadding because it was a lot cheaper. A tad huge but we managed (thanks to my friends who helped). I’m busy getting ready for my new job and getting the kids settled into a routine. I’m also busy making my Halloween quilt, a sampler quilt with my quilting ladies and doing a quick tutorial to post later in the week. I’ve also joined an adult ballet class for beginners and cannot wait to get into that leotard!